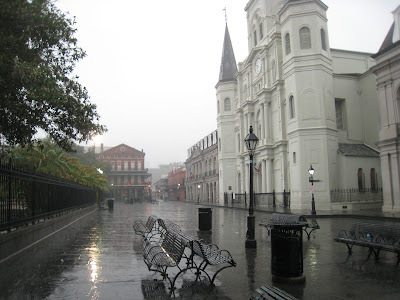 The Big Easy was calling as we drove back across Louisiana from Lafayette. We couldn't just pass by this fascinating city without stopping for a couple of nights. New letterboxes were waiting to be found, and we had one to plant there. 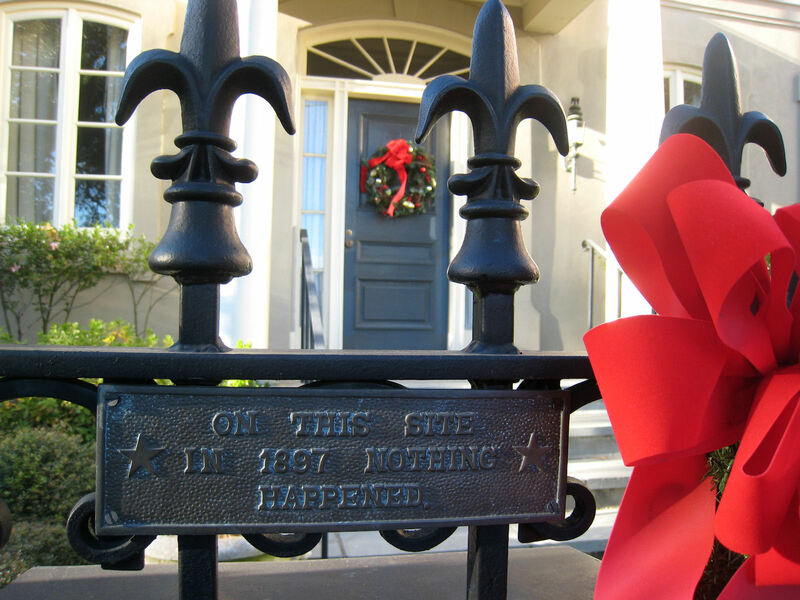 Unlike Mardi Gras and New Year's Eve, Halloween and the Fourth of July, Christmas is not a holiday that attracts tens of thousands of visitors to New Orleans. Thus we were able to book a suite at a downtown hotel for about one-fifth what it would cost just a week later. Timing may not be everything, but it certainly has a strong influence, in both hotel room prices and letterboxes. In search of a box hidden in the Jackson Square fence opposite the beautiful St. Louis Cathedral, we arrived late on Christmas Eve afternoon, just as worshippers were gathering. The area in front of the church was jammed with locals and visitors waiting to enter the 5:00 Christmas Eve service. With hundreds of people milling about, there was absolutely no way to employ enough stealth to retrieve a letterbox wedged behind a sign on the fence. Early Christmas morning in the rain was a completely different story. The square was deserted, and fetching the box was easy. 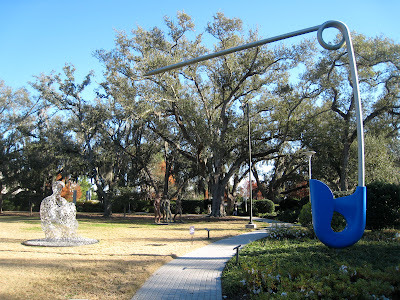 Another location letterboxing took us was the Besthoff Sculpture Garden at the New Orleans Museum of Art. Open daily with no admission charge, the garden is home to more than 50 sculptures by artists from around the world. Finding the letterbox here was a bit of lagniappe, as the sculptures were the primary reward. And here we learned another lesson. Size matters. Swedish sculptor Claes Oldenburg and Coosje van Bruggen, his wife and collaborator, have been creating large-scale public sculptures since 1976. Like the Besthoff Garden's Safety Pin, these works are whimsical and fun additions to public art. Photos of many of their works, including a giant spoon that serves as a bridge, can be found on the artists' web site. 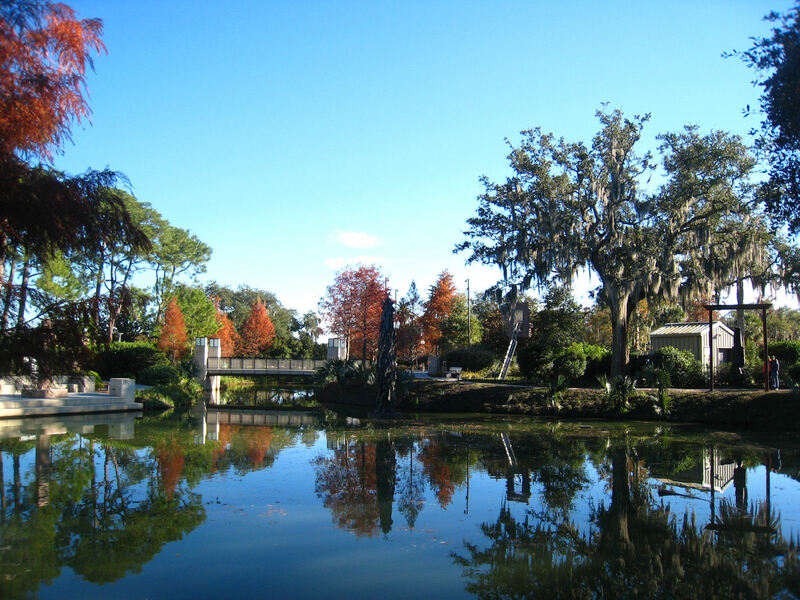 Thanks to the landscape teams that designed and maintain the grounds, the sculpture garden rivals the nearby botanical garden in beauty. All in all, we found it a winning attraction with an excellent price. 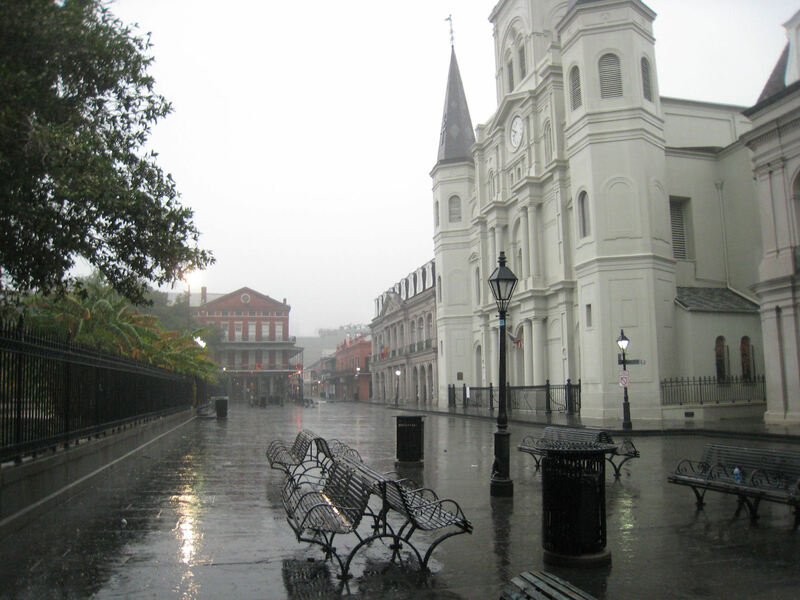 Despite its close encounters with disaster, New Orleans remains a city filled with history and culture. Like other visitors, we love wandering the old streets and reading the historical markers, learning about events which occurred in the distant past. Near Lafayette Cemetery #2 on Prytania Street, we came across this historical marker on a private home and had to count it most humorous among the markers we saw.